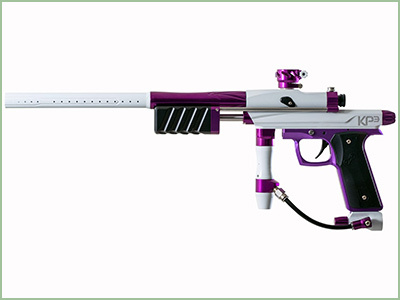 This article provides an overview of some of the best pump paintball guns in the market. 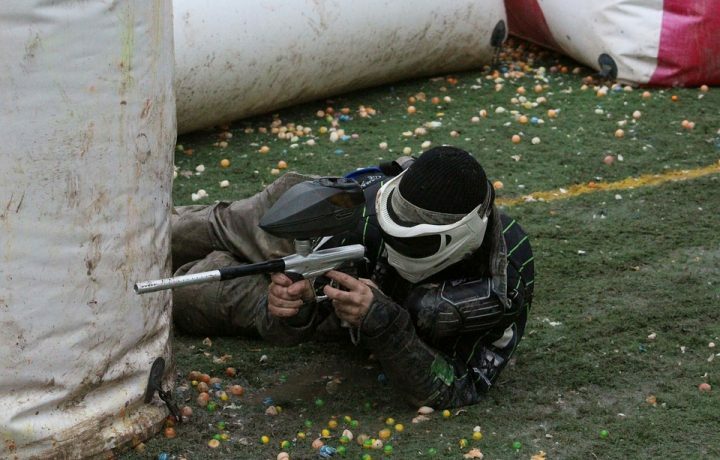 Different manufacturers have developed different paintball guns to suit different types of tournaments. 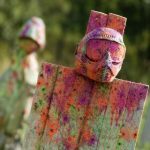 The designs and construction of some of these paintball guns is also used to determine whether they are suitable for beginners or pro players. 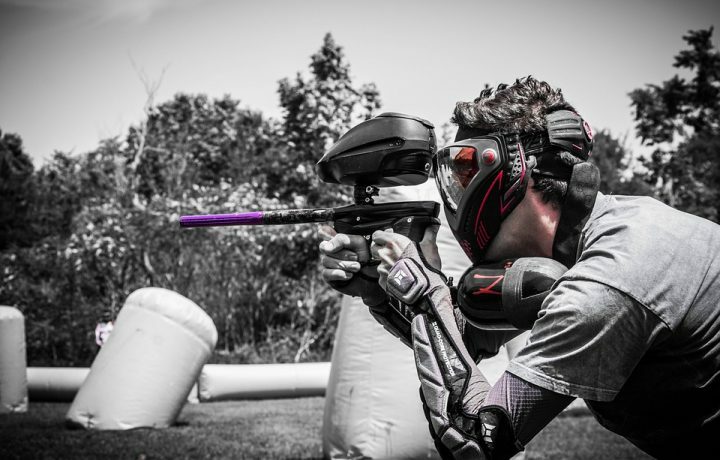 The paintball guns described in this article will meet a variety of player needs. 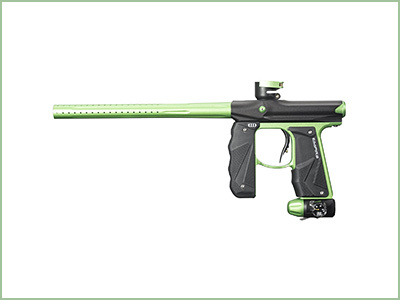 Of these, we have selected one marker we believe is the best pump paintball gun currently on the market. 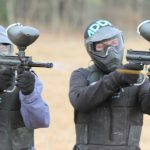 The quality of a gun, the ratings obtained, and the user opinions are some of the criteria used to classify these top range paintball guns. The shooting accuracy, performance, and other specifications like the recoil will also be used where applicable. When you go shopping for a paintball marker, be sure to look for this KP3 Kaos model as it guarantees a perfect shot and smooth action. It has an amazing look with the body, feed neck, and the single trigger frame being made of aluminum. This gives the gun its lightweight feature, which gives the user a good feel during use. For a smoother pump stroke, Azodin has modified this gun version with dual cocking rods. Its outstanding performance is also enhanced by the pull-pin release bolt. This makes the marker reliable and suitable for an array of tournaments. Out of 5 stars, this paintball gun has obtained an average user rating of 3.6 stars for its amazing performance. 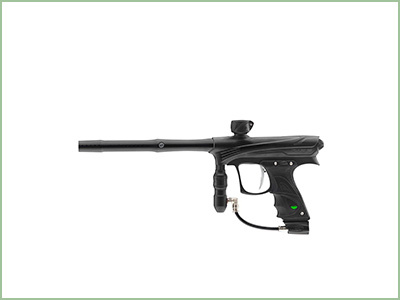 This pump paintball gun is the lightest that Blitz Azodin has ever manufactured and it comes with a streamlined body for accuracy during performance. Its construction is also durable and designed to offer the players a vigorous performance. It has the most user-friendly features unlike all the previous models from the company. Some of the parts featured in previous models have been improved to include a new compact regulator and a screw-lock feed neck for high-end performance. If you are looking for a long-range paintball gun that will give you the accuracy you desire and allow you to shoot fast, then this is the right paintball gun for you. Its user rating score has attained an average of 3.6 stars out of 5 stars. This is one of the best pump paintball guns in the market today as it comes with an amazing body and great accuracy. The gun’s accuracy makes it suitable for a wide range of players and tournaments. Its price is also quite reasonable considering the high level of performance associated with it. It is constructed with improved but unique features that include a patented rize fusion bolt, a precision true bore proto 1 piece barrel, a hyper 3 regulator with proven performance, a modified dye RAMP solenoid, and the clamping feed neck. These features make it suitable for pro players and beginners too. It has attained an average user rating of 3.9 out of 5 stars. This implies that users have found it to be among the most reliable, convenient, and high-end performing paintball guns in the market. 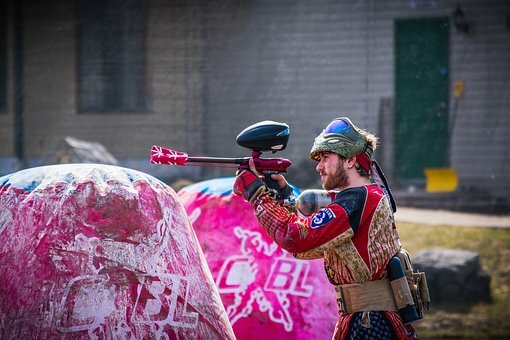 Empire is one of the leading paintball gun manufacturers in the world and its products are recognized for their excellent design, accuracy, and outstanding performance. This Mini GS Marker comes with a rubber grip that gives the player a secure hold of the gun and maximum protection from the paint. Empire has improved its previous design in this marker by using a new regulator or ASA that eliminates the complications of removing the tank and putting it back on. The Mini GS Marker is also designed to feature a new level of strength that gives it a top-end performance. 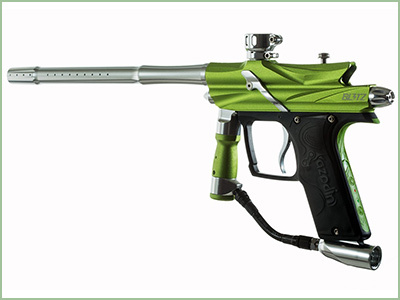 The improvements on this marker have players wondering why they would buy another paintball gun when Empire makes a Mini GS the gives them a legendary performance. Its user rating is an average of 4 stars out of 5, which is impressive. It shows that the marker’s users find it superior in many ways. This is the best mid-range paintball gun available in the market as it features high standard attributes. It is constructed with a 14in 2-piece Shift2-lite Barrel that is operated under low-pressure thus giving the player that desired smooth and accurate shot. It is a highly reliable marker that only requires a low-level maintenance to give an optimal performance. It is easy to operate as its firing system is a bit simplified. 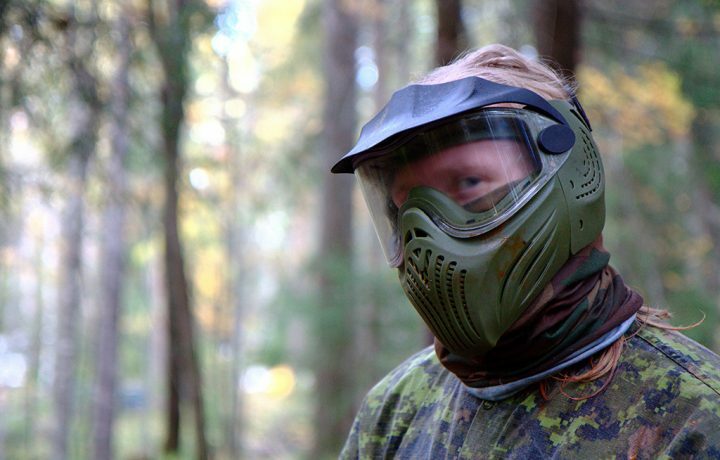 The marker is soft on paint since it operates with about 30 to 50 percent less pressure in comparison to other similar quality paintball guns. It is also quite comfortable for the user since its design allows for an excellent grip and balance. It is very efficient in the field and comes recommended for pros and beginners alike. This is because its use requires only a little guidance. Its average user rating score falls at 4.4 out of 5 stars implying that most users agree that it is a great marker. 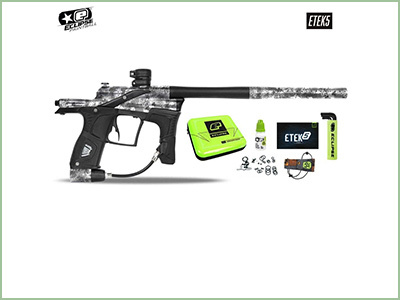 Planet Eclipse is the number one paintball gun manufacturing company and its ETEK version seeks to enforce that position by being durable and reliable for an outstanding performance by all players. It may be expensive as compared to the other paintball guns but the price is justified by its ergonomic design and unique features. It is fitted with an LPR assembly and SL4 inline regulator that enhance its consistency during performance. It is constructed with a high-grade foregrip and gripframe that gives the user a good grip for comfort and stability while in the field. 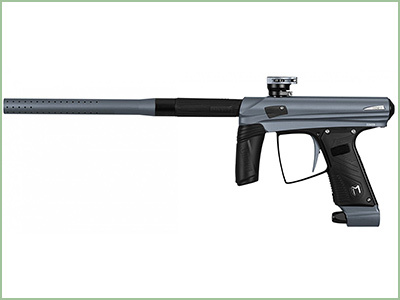 Like most other ETEK models, this paintball gun has gained an average of 4.6 stars out of 5 making it the best in the market. This is a must have masterpiece! I cannot have enough of its uniqueness and amazing features that not only complement the shot but also enhance the overall performance. It is a full pneumatic marker with an in-line bolt system that gives it the high-end performance you are looking for. It comes with an easy pull trigger, an amazing look, and great handling features. The barrel of this gun has a muzzle break that enhances its high performance level. It is mostly suitable for beginners since it is a magfed paintball gun. Its user rating average is 4.6 stars out of 5 which is pretty impressive. The rating also reveals that the marker’s users are greatly pleased with its performance. The list above comprises some high-end and top performing paintball guns in the market. However, we recognize Tippmann TMC MAGFED Paintball Marker as the best of all due to its reliability, performance, accuracy, and convenience. These attributes make it suitable for beginners and pros who want to use magfed paintballs. After reviewing the attributes of this amazing paintball gun, we believe it is absolutely worth its price. 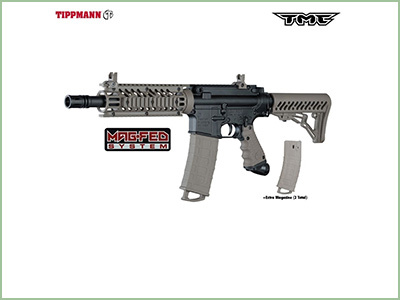 You can read more about it in our Tippmann TMC review. What is your take about our list? 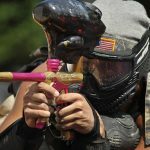 Let us know what you think about it and any other pump paintball guns that you would include as your best in the market.